Mood improvements, more energy and better weight control are just three possible benefits of regular physical activity, according to the Mayo Clinic. 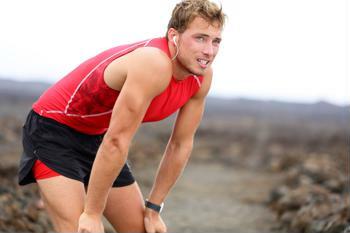 Past studies have also identified a link between exercise and cognitive improvements. New research from Harvard Medical School and the Dana-Farber Cancer Institute has revealed even more evidence to back up this claim. In a study, the results of which appear in the journal Cell Metabolism, researchers found that endurance exercise elevated FNDC5, a molecule, and irisin, its cleavage product, in mice brains. Irisin is important, as it has the power to activate genes that play a role in cognition. The end result is improved brain health. "Our results indicate that FNDC5/irisin has the ability control a very important neuroprotective pathway in the brain," said Dr. Bruce Spiegelman, who led the researchers. Of course, exercise does not benefit mice alone. If individuals work out on a regular basis, they may want to take an IQ test. Whether they run or lift weights, their hard work may have had a positive effect on their cognitive abilities.